The Technical Seminar on grain storage, management and processing technology, organised by the “Knowledge based Integrated Sustainable Agriculture in Nepal” (KISAN) II Project under the USAID banner, will take place 15th and 16th February 2019 in Nepal. 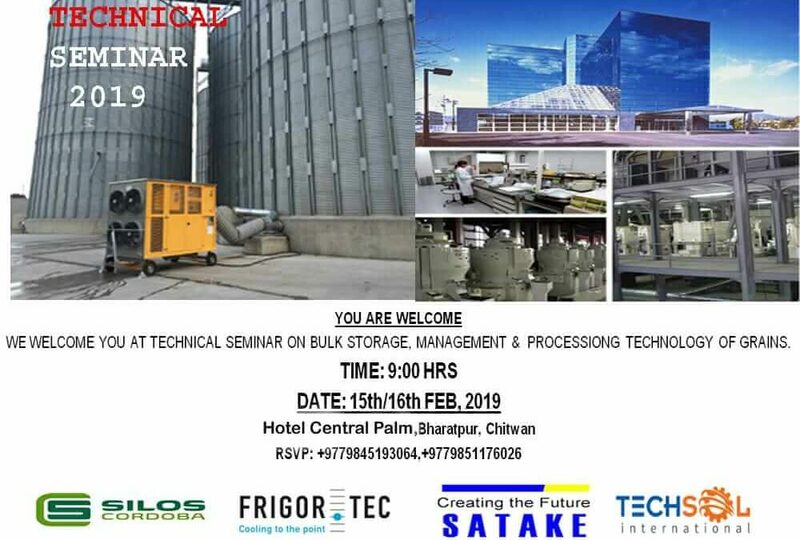 The 2-day workshop will be jointly organised by TECHSOL International and Silos Córdoba and will also include the participation of Frigortec Germany and Satake India. Manoj Kumar, SAARC Countries Manager of Silos Córdoba, will be participating in the workshop, mainly focused on the poultry sector as well as agri based customers, to give more insights on the storage system for longer, more sustainable storage methodology and also to maintain the good quality of the grain.